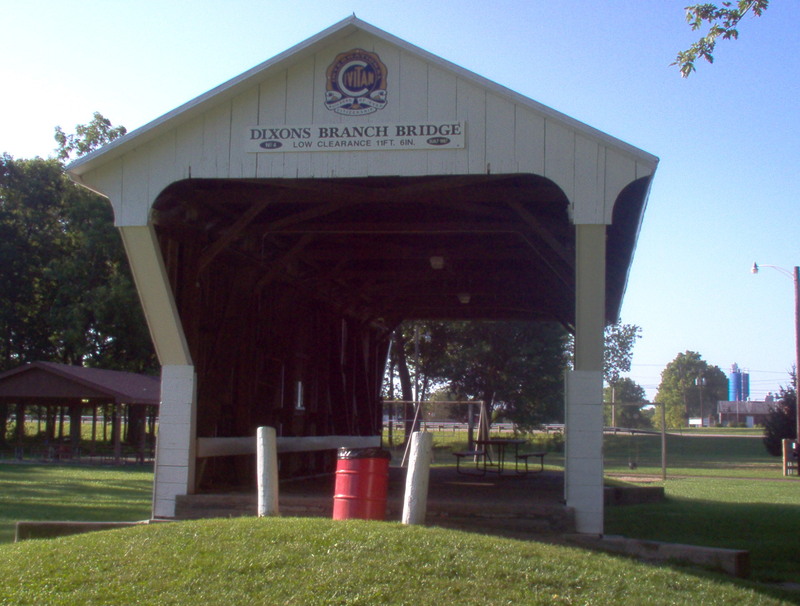 Eli Dixon was the first settler in the township which bears his name, Dixon. 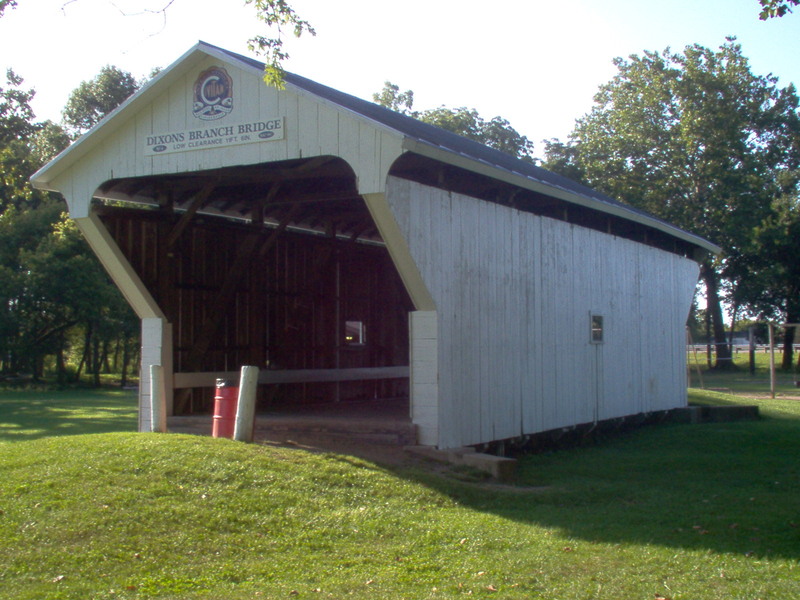 Eli moved from Georgia and settled in Ohio in 1804. Little is known about him, besides the fact that he was a captain in the Ohio Militia. 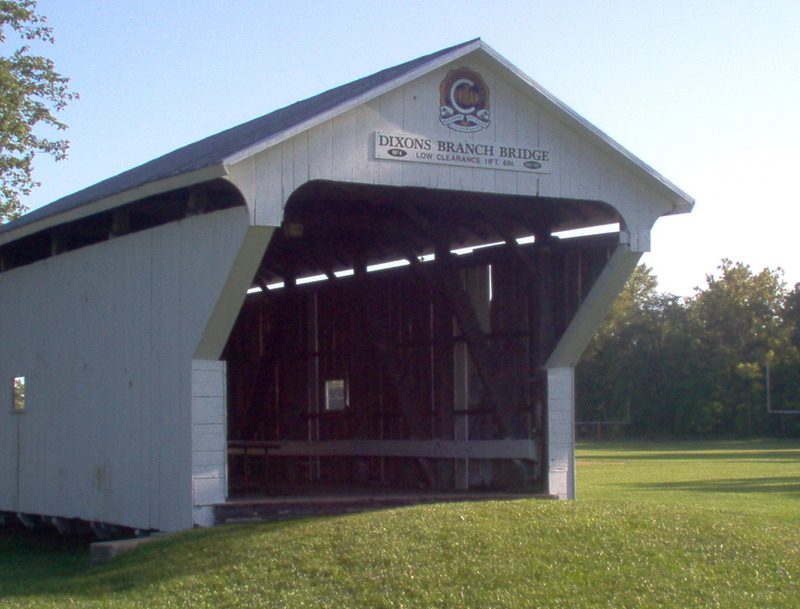 Originally, this covered bridge spanned Dixon Branch in Dixon Township from1887 to 1963 on Concord Road. 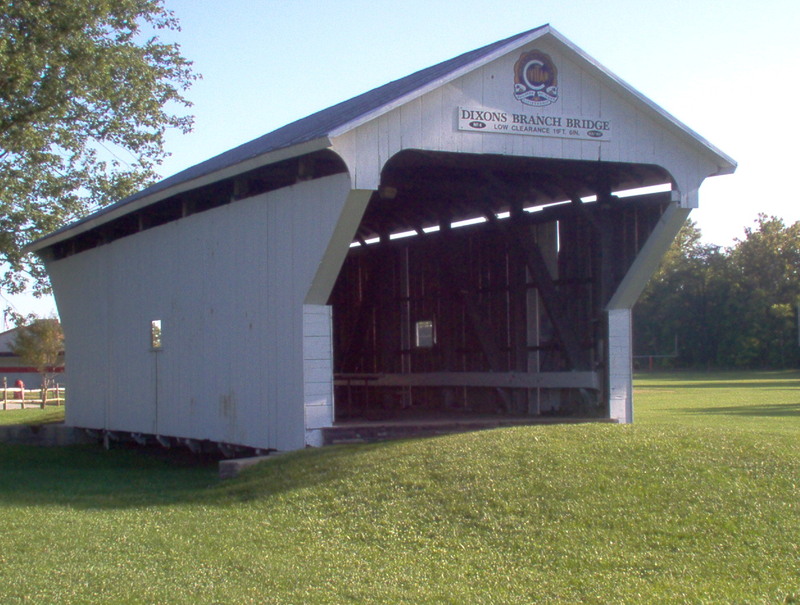 In 1963, a windstorm severely damaged this covered bridge. 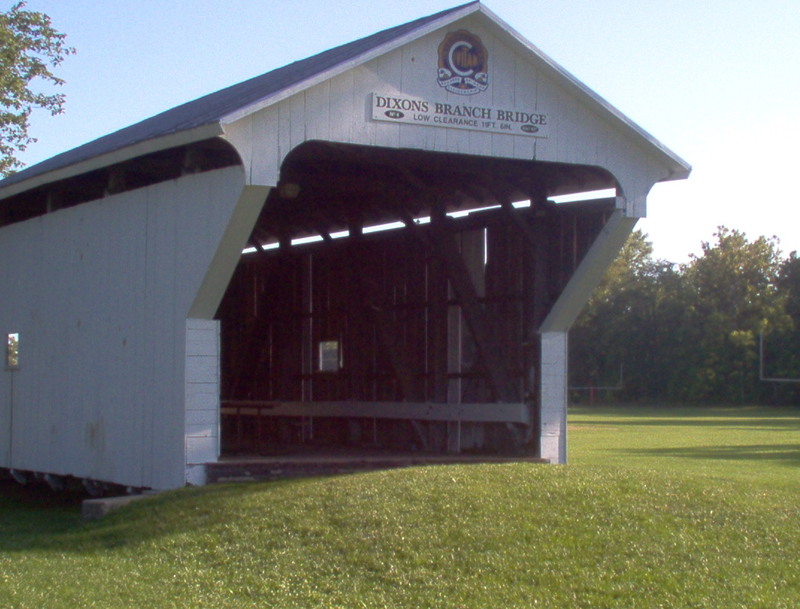 Preble County officials gave it to the Civitans of Lewisburg. They relocated it to Civitan Park in 1964, where it still stands today. It is used as a historical shelter house, where people from all around can go and enjoy a picnic lunch.